Different health professionals deal with different problems and roles are changing. Many problems previously dealt with by a doctor are now dealt with by highly qualified nurses. Routine checks on blood pressure, diabetes, asthma & bronchitis, heart disease and diabetes are carried out by such nurses. Other problems may also be better dealt with by nursing staff or by health care assistants. If you are unsure who can best deal with your problem our reception staff will be happy to advise. Due to health & safety we are had to change the Open Access clinics. We will be having same day appointments for ONE condition only. These appointments will be released at 8am every day. The appointments will be bookable and these can be booked online, by telephone or face to face at reception. 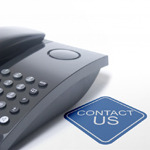 For easy access we suggest you check online before contacting the practice as the telephones may be busy. If you require a login, please speak with reception. This is to enable the practice to provide a more appropriate way of handling requests for same day appointments. Deal with the problem over the phone. Ask you to come down to the surgery to see the doctor or the nurse the same day. Routine appointments can be booked up to 4 weeks in advance with any of our GPs at either of our surgeries hopefully on a day and at a time to suit you. Appointments can be made by phone during opening hours or on-line. We offer a range of more specialised clinics including minor surgery, joint injections, contraception and sexual health, level 2 diabetes and most of the doctors have an area of speciality. These appointments are booked for you by our practitioners should they deem this to be appropriate. Many patients queries can be dealt with by email without the need to see a doctor . Please email us on B83012.manormp@nhs.net This service should not be used for urgent enquiries as we cannot guarentee a response time. Prescriptions should be ordered by using the on -line service or handing your prescription request in at reception. Visits requested after 10.30 am will be passed to the doctor on-call at the surgery & they will prioritise them appropriately. Please note that we can see at least 3 patients at the surgery in the time it takes us to do one visit so we very much appreciate your efforts in attending the surgery.There are also better facilities for examining and treating patients at the Health Centre.